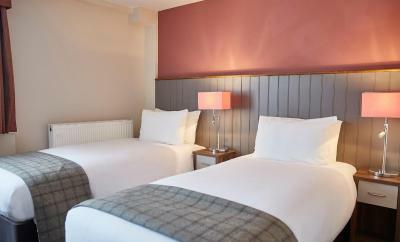 Lock in a great price for New Inn bu Greene King Inns - rated 8.6 by recent guests. Easy to find. Parking was great. Clean and quiet. Nice people. Lovely hotel, It has everything you want in a room. Food in the pub was good and well priced. loads of free parking, free WiFi. Will definitely return. Only issue when the restaurant is busy, you have to queue to get a drink or order your food. Staff or always friendly and helpful. 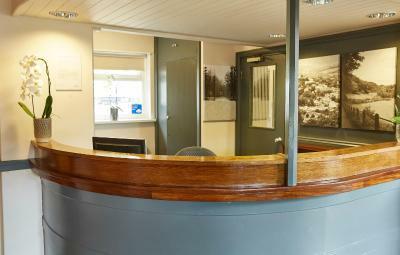 Well-equipped rooms each have free Wi-Fi, a flat-screen TV, telephone and free tea and coffee. 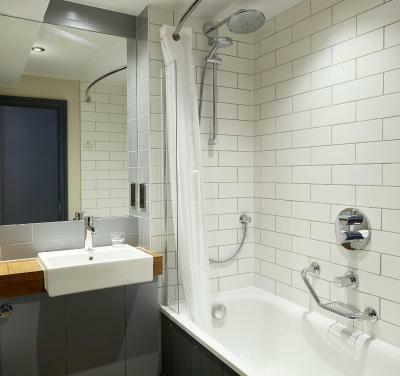 They all also feature a private bathroom with a hairdryer, and ironing facilities are also provided. Traditional full English breakfasts are served daily in the New Inn’s restaurant, which also has an adjacent award-winning indoor children's play area. 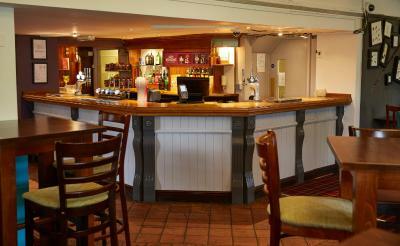 The bar serves a range of award-winning real ales and wines with a log fire. 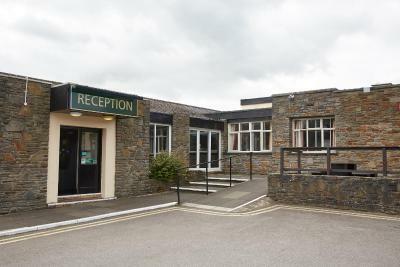 The hotel offers free car parking for up to 100 cars and is only a few minutes’ drive from the Celtic Manor golf resort. 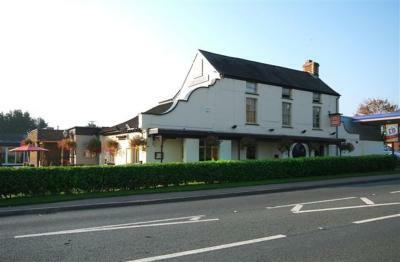 New Inn bu Greene King Inns has been welcoming Booking.com guests since 13 Nov 2007. When would you like to stay at New Inn bu Greene King Inns? 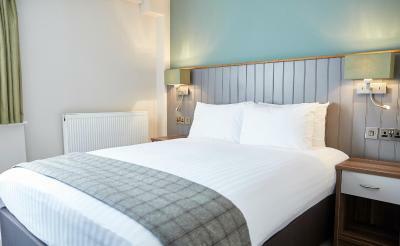 With modern décor, these rooms also have free Wi-Fi and a luxury superking size faux leather bed. 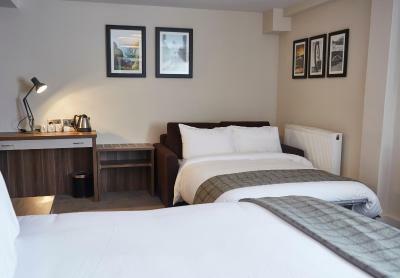 With modern décor, these rooms also have free Wi-Fi and luxury faux leather beds. Just 2 minutes off Junction 24 of the M4.Gateway to Wales. 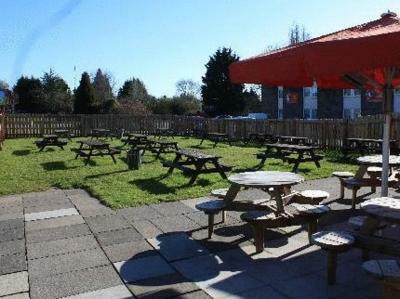 Easy access to Cardiff City for all major sporting events and concerts at the Millennium Stadium and Motorpoint Arena. Cardiff and Bristol Airports just 45 minutes away.Ideal halfway stopover to all ferry ports for travelling to Ireland. House rules New Inn bu Greene King Inns takes special requests - add in the next step! New Inn bu Greene King Inns accepts these cards and reserves the right to temporarily hold an amount prior to arrival. Reception is closed from 21:00 and the bar from 23:00. No check-in is available after 23:00. 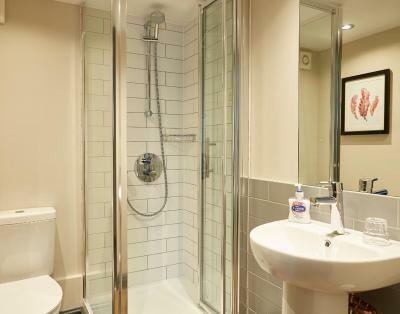 Please inform New Inn bu Greene King Inns in advance of your expected arrival time. You can use the Special Requests box when booking, or contact the property directly with the contact details provided in your confirmation. I had the continental breakfast which was O.K. I have eaten far better quality croissants and coffee. Few more options at breakfast would have been nice but was still lovely. The window did not shut properly (handle broken off) which once it started raining meant there was a loud drip audible through the night. the room was way too hot, the bed was really uncomfortable, i woke up with a really bad back, mattress is way to hard! wouldn’t advise someone to stay there if they have problems with there back, room was really dusty! i woke up all my clothes had dust on them! wasn’t happy at all.